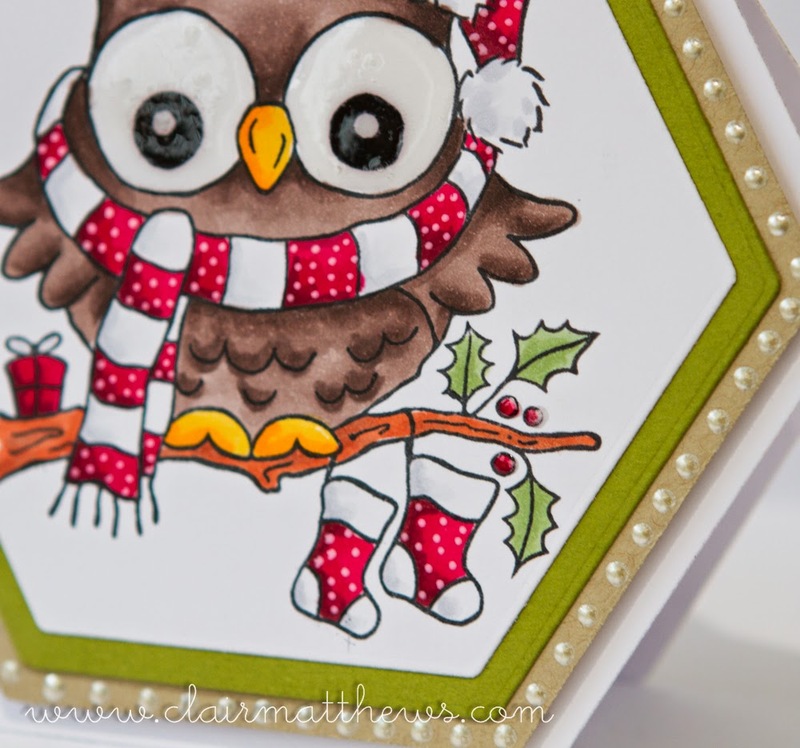 I've been playing with this lovely stamp by woodware called 'christmas hoot'.. I used one of my new Quickcutz/Lifestyle crafts nesting doily square dies which fits perfectly on the card base..
..coloured him with copics & added wink of stella, glossy accents & white gel pen..
for this second card I made my own card base using the quickcutz/lifestyle crafts nest hexagon dies..
added some pearl drops around the edge..
& again coloured with copics & added glossy accents & white gel pen.. 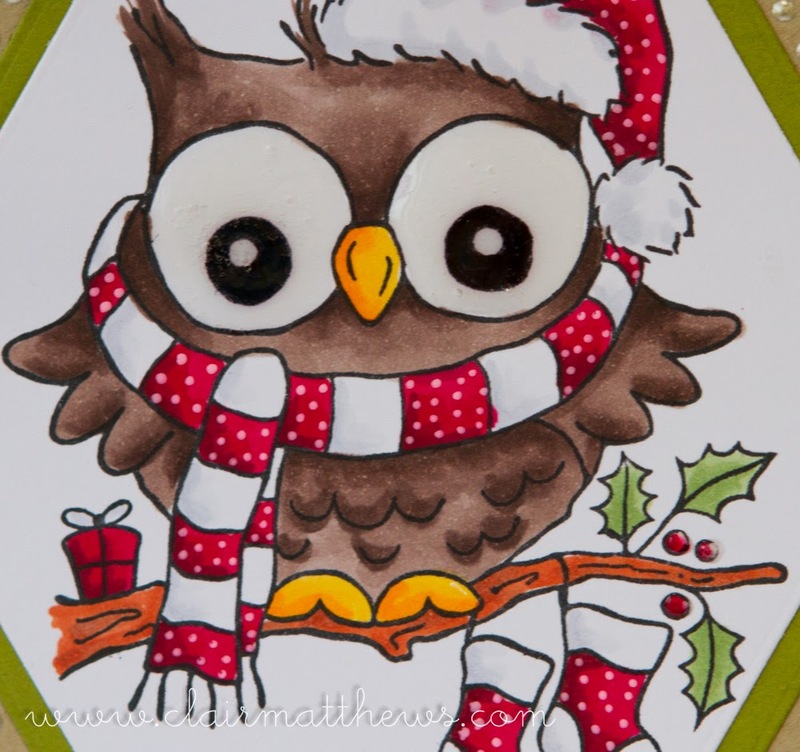 I really like this stamp, i've always had a thing for owls, many years ago we kept barn owls, they're adorable! 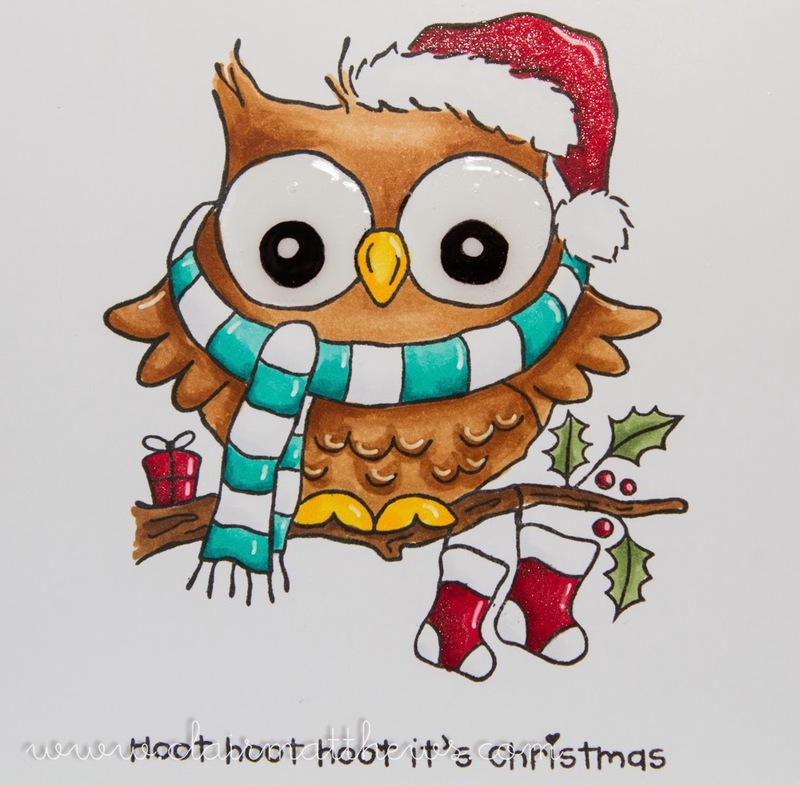 Aaaah so adorable and thank you so much for my Xmas card.